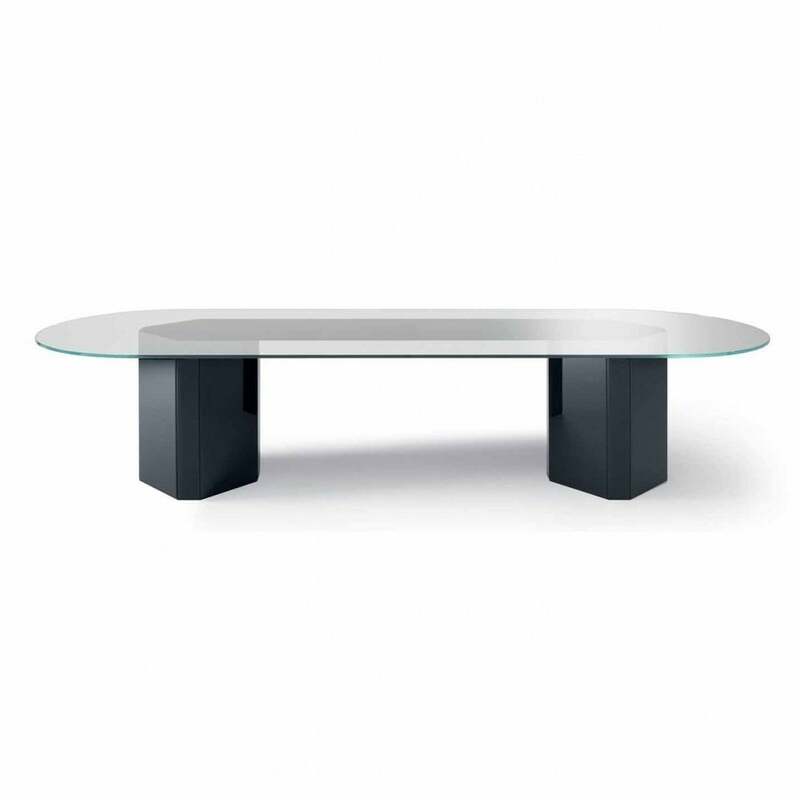 Sturdy dining table designed by Oscar and Gabriele Buratti, with 15mm extra light glass top which has feature curves at each end. The chunky base comes in a variety of finishes and has feature, angled corners. The Akim is very flexible and can be customised to your preferred size - please contact us for options. if the table is to be used as a conference table, a hidden cable management system is also available.